Given the ambition and scope of the series, the decision has been made to locate all creative efforts on ‘The Man in the High Castle’ to the west coast; Frank Spotnitz will remain as an executive producer and step back from showrunner. His responsibilities will be managed by our deep and talented bench of producers. We are enormously grateful to him for bringing our customers on one of the most watched original shows on Amazon Video and we are excited about the team’s vision for season two. Contrary to the implications of the statement, sources who spoke to Variety and Deadline both mentioned creative differences between Spotnitz and the studio as the primary issue. The Man in the High Castle is a big deal for the company: The show’s first season set a streaming record at Amazon, and Spotnitz had previously spoken about the production’s immense expense. “It’s the biggest gamble I’ve ever been associated with,” he said in an interview with Variety. 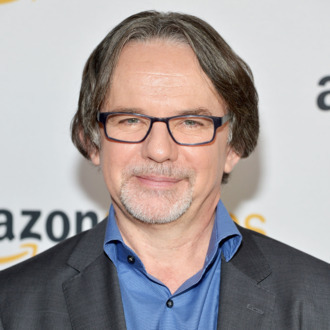 Though he’s leaving High Castle, Spotnitz is currently working on a Medici series with Richard Madden and Dustin Hoffman. The Medicis, now those guys could sponsor an artist, and also kill the ones they didn’t like. So, you know, pluses and minuses.